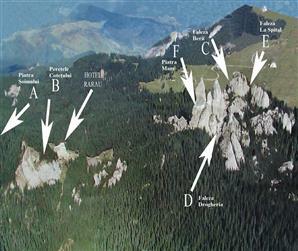 The massif Rarau mountain is located in the northern part of the Eastern Carpathians, in the county of Suceava. All the trails are natural and are furnished with expansion bolts Fixed. Being a mountain area, the weather is not always as we'd like, but, despite the altitude of about 1650m, can climb on average 6 months per year. The best times are end of march and beginning of April, the month of may, the first half, the months of June and July are the most rainfall, but also with the most warm. 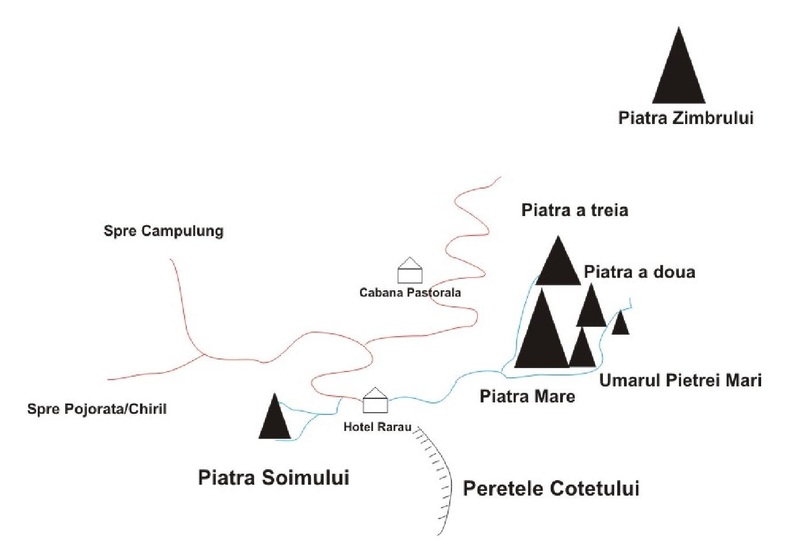 Access route: The best road is the one from Cyril (14km from Kirill), on the Bistrita valley, follows the Pojorâta (16 km from Bra?ov and 24 km from Campulung), with a macadam road, but in very good condition. The last and the worst is the one in Cimpulung (14 km from Campulung), recommended to those with cars with the high guard.